Short Decription 4 PC SET - Purify Contaminates from your Dry Sift Resin by Carding your extraction with a Dry Sift card on your Refining Screen. Gently push Dirt, Dust, Cystolith hairs and Capitulate Stocks threw the screen by moving the Keif around on the screen with a Dry Sift Card until only the Full Melt is left on the Refining Screen. NEW JUMBO CARDS are now available! Perfect for collecting your herbal extraction dry sift and so on. 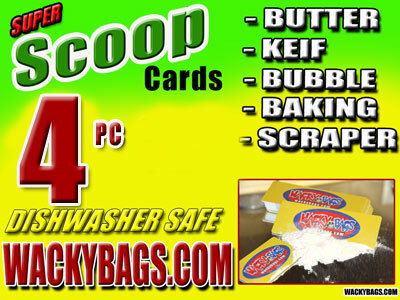 After your Dry Ice Extraction just grab your card and start making a big pile. These Cards are perfect for transferring Keif from the table to the scale.